Please scroll down to see the latest entry. Please refer to schedule for class times. NOTE: Please anticipate a modified Thanksgiving Schedule TBA. What a strange beast, this reality of opening a Bikram Yoga studio. So many major factors have to come together in order to invite people in the door. If you�re opening a shoe store, you need inventory, lights, heat/AC and a cash register. This venture requires some major projects (two separate HVAC systems, Plumbing/Showers) and of course everything must be to �Code� before the city will give you permission to open. Beyond the basics of opening up a Bikram Yoga studio, there are the �basics� that had to take place for Bikram Yoga Evanston. I have been teaching this yoga for more than 5 years and practicing even longer. After my first 6 months of practice, I knew I needed to teach this to folks. The juxtaposition of working on a daily basis as a counselor in a Mental Health/Crisis Respite facility and being immersed in my new found yoga practice was perfect in my eyes. The yoga worked and the Mental Health world seemed far less effective. Something was missing from many people�s lives and Yoga, specifically Bikram Yoga, seemed to provide it. It wasn�t just me; all my new friends in my Yoga community agreed. Not to mention, we were all looking and feeling the best we�d ever felt in our lives! I went to training with the full intention of one day opening a studio, but the task at hand was to make myself an outstanding teacher. That had to happen first. After training, I moved to South Florida where the highest concentration in the world of Senior Teachers exits. I was surrounded by wonderful teachers who had been teaching this yoga for a minimum of 10 years; most of them had been teaching for 15-25 years. Quite a resource. I shut my mouth for a year, and just took in all I could at the feet of teachers who had seen and worked with tens of thousands of students through the years in this medium. I taught 12 � 16 classes a week. It�s kinda� like playing scales when you�re learning an instrument. You do it a lot and then you get good at it. When I left South Florida, I moved back to New England and taught all over the place. I traveled to visit friends and practice/teach all around the U.S. Meanwhile, friends of mine were opening up studios around the world and I have drawn from their knowledge and experience via email & phone calls. For the past 2 years, I�ve been teaching in the Chicago area and the suburbs. This has also allowed me to get to know all the teachers in the Chicago and outlying areas. 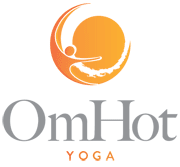 Along every step of the way, there has been an attention to detail here that I�m hoping will translate directly to your experience when you join us at Bikram Yoga Evanston. The culmination of a long process is about to take place and now it really is all about you. We are about to create an exceptional community. On behalf of myself and the entire teaching staff of BYE, we can�t wait to get to know you! This Monday we hope to turn on the gas on, provided everything is up to Nicor�s standards. We will also be putting down the NeoFloor Carpeting in the Yoga Room. I�m waiting to hear back from a gentleman who will hopefully be applying an epoxy flooring to 1/2 of the Common Area floor and we are ready to carpet the other half, but the Epoxy has to go down first. After all the flooring is down, we will test the HVAC (Heating/Ventilation/Air Conditioning) system in the Yoga Room. Mirrors will be going up after the carpet is laid down and after everything is double checked, we will then request a Final Inspections from the Town of Evanston. So just a few matters left to attend to, but Final Inspections are the culmination of the whole process. I�ve received so many emails and thank you guys for being understanding. As challenging as it has been for some of you to be waiting for BYE to open it�s doors, I hope you can imagine what it was like to move here from Western Massachusetts almost exactly two years ago and the only thing I was sure of was that I had 6 months to find a location and sign a lease in Evanston, IL per my agreement with Bikram Yoga International Headquarters. As I�ve mentioned in my emails to some of you, once we open the doors, you�re stuck with me! Words cannot express how excited I am to meet you all, practice this amazing series together and forge wonderful new friendships. Keep checking back here. I will now update the site on every few days as we progress. We turned on the heating system in the yoga room and it fired up beautifully! The floor heated up. The intake drew in fresh air and the exhaust sent the old air back out to Evanston! All the flooring should happen this week. That will give me a week to get all the furniture in, shower rods & curtains up, soap dispensers in, beverage cooler in, towel service up & running, music, wireless headset, computers, registration forms... all the little stuff. The good news is, all of the teachers here at BYE know how to teach & practice and we're excited to share this series with you. Also I anticipate many friends from the area coming by to share their practice and really good energy with all of us. "Sangha" in sanskrit is translated as "Community". In any language, I think it's a lost art. Let's all get together on a regular basis, have fun, work hard, feel great, respect eachother, be humbled, be inspired and sweat! I�m sitting here in the Yoga Room amidst a couple of couches, assorted desks a few office chairs, 3 rolls of carpet (that will be installed in the Yoga Room floor on Wed.), a couple of filing cabinets and assorted other odds & ends. The epoxy flooring is down in a couple of area and the carpet in the hallways and the Common Area is installed. I still have lots of odds and ends to attend to: shower curtain rods, shower curtains, waste baskets, sound system... Then there�s the big stuff: Mirrors (Mon), Inspections (Mon), Yoga Room Floor Prep (Tu), Yoga Room Carpet (Wed). Oh, did I neglect to mention I still have to get stall doors for the toilets. They are unusually expensive. Would you guys mind if I just put up beaded curtains?! ;-) OK, it was just a joke!! I�ll buy the doors!! So as soon as I get the word from the inspections I�ll let you know. I�m still focused on Saturday as the opening day, but check in with me here. As soon as I know for sure, I�ll send out and email with an official announcement and we�ll make it happen! We�re almost there and I�m BEYOND excited to meet everyone! Come in the front door and turn left. Take the elevator downstairs and walk down a long corridor to our front door. I almost can't believe I'm writing this email, but here we go! some sleep, but it's time to pull the trigger. about until this week. The learning curve keeps on curvin'! Use the restrooms in the hallway if you need privacy. Come join us and I personally can't wait to see/meet ya'! WE ARE OPENING THIS SUNDAY 11/16/2008. 10AM & 3PM CLASSES! OK, we gotta� get this studio open, because I�m tired of vacuuming up construction dust. It�s become an obsession. Just when I�m done, I look behind me and the floor I just vacuumed is an absolute mess. I need to get back to teaching Bikram Yoga. Besides, I love teaching Bikram Yoga and I�m not feeling quite so enthusiastic about my vacuum cleaner. I think you get the picture. I want to apologize about inflicting 300 plus email addresses on everyone. I update my own we site, and have been on a computer since before the Golden Age of the Mac Plus. I was so tired that eve and so out of my mind from lack of sleep and inhaling wood stain fumes, that as soon as I sent the email I cringed! I�ve been doing everything I can to not make a mistake during the creation of this studio, and there it was� THE MISTAKE! So, I can relax now. I�ve had a few folks inquire about the parking situation. There is a Northwestern parking lot right across the street and it�s available throughout the weekends and from 4pm on every weekday. There�s metered parking and 2 hour non-metered parking all around the building and as a last resort, the municipal Parking lot is across the street. So with regard to the Evanston parking conundrum, we have possibly the most outstanding options in town. Please come early, because we�ll have to get everybody registered. Also, in fairness to everyone with a tight schedule we will be starting right on time. Please don�t be late. For safety reasons, I can�t start on time and keep the doors unlocked. More importantly, we start on time and the doors are locked at the beginning of class. Lastly, you guys are always invited to bring clean plastic shopping bags for us to use for wet yoga clothes and towels. This is a great way to recycle the bags and not contribute more plastic bags to the environment. Evanston doesn�t currently have plastic recycling for commercial pick up. I would love it if we could all bring our empty bottles home to be recycled until I can come up with a better plan. Thank you guys for being exceptional enough to do the right thing. I�ll see everyone on Sunday. You�ve got 2 options 10am and 3pm. I�m so excited to see you all. It's 6:46am and I'm a bit... scared. I've played big music shows and big Baseball / Basketball games before, but this is different - in many ways the culmination of a lifetime of experiences. As I'm writing this, I�m simply reminded that the presence of this yoga in my life has changed EVERYTHING. I'm a much better / happier / kinder / healthier person because of my Bikram Yoga practice. I am also so fortunate to have met some of the most wonderful people in the world throughout my life all of whom practice their Yoga in their own very powerful way. Like many of us, it's pretty easy to feel alone in this world. That's probably unnecessary. In my case it's downright foolish. Thank you to my dear friends and wonderful family for your support. I am beyond blessed. I only seem like a "tough guy" in the room for obvious reasons. We all know better. I personally only use this term very sparingly: Namaste.